In her favorable essay on Moreira’s book for the Hemingway Review, Kaimei Zheng contributes an item not found by Moreira: Renjing Yang, author of Hemingway in China, has consulted the Chinese Communist Central Archive’s Chou En-lai Chronology published in 1989, discovering that “a month after Chou En-lai met with Hemingway, Chou telegraphed Liao Cheng Zhi and Mao in Yanan from Chongqing on 16 May 1941….Chou said, “According to our conversation with Hemingway, we still have a lot of room to maneuver diplomatically. We suggest adding several people in Hong Kong to coordinate our activities, and the objectives and guidelines in Hong Kong have to be the same as in Chongqing” (Central Archive 503)…. 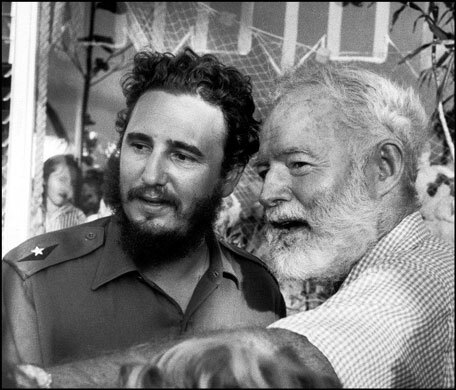 It suggests that Hemingway’s conversation had an impact on Communist diplomacy.”  As presented, this nugget suggests that Hemingway saw himself as an ally to the CCP; or, alternatively, perhaps he was as willing to display his analytic capacities and connections to major players to the Communists as he was to White and Morgenthau, but we learn nothing about the sources of his (hinted) inside dope, and nothing in Moreira helps us here. Compare this report (suggesting partisanship) with the praise heaped upon the objective Hemingway by Hollington K. Tong, Vice-Minister of Information in the Chinese government, and who does not appear in Moreira’s book, who claimed in his book Dateline:China (1950) that Hemingway saw through Communist prevarications, an observation consistent with Hemingway’s letter to Morgenthau. Moreover, the partitioning of China would have appalled both the Roosevelt administration and the Chinese Nationalists, looking to a unified Chinese republic as a prospective great power in the postwar United Nations, and as a democratic capitalist bulwark against either Japanese or Soviet expansion; while the Soviet Union was sending aid to Chiang Kai-shek’s forces (even after the Soviet-Japanese Pact) to forestall further Japanese incursions into the Asian land mass. Moreira writes that Hemingway committed “the classic mistake of mid-century Kremlinologists of assuming that the Soviet Union could control Mao and restrict his ambition of ruling all of China” (p.191, ignoring Hemingway’s initial proviso that the Communists “will attempt to expand their sphere of influence in China no matter what territorial limits they may accept on paper”). But Hemingway’s waffling judgment may indicate that, at rock bottom, he was out of his depth, a peacemaking “moderate” hoping against hope for compromise. As Kenneth S. Lynn has argued, Hemingway struggled to achieve unity between the warring impulses in his personality, to the detriment of political clarity. It was a struggle that he famously lost. We are left with a mystery: how is it possible that so many biographers and Hemingway fans miss the irrational cast to his politics? 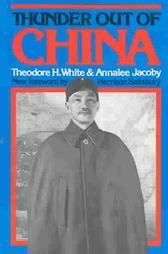 In conclusion, by framing his book as a corrective to Hemingway studies, the author masked the political message that runs throughout: that the U.S. should have vigorously opposed Chiang Kai-shek’s thieving, collaborationist, decadent, and authoritarian regime—one that, unlike the Communists, lacked a popular base–, and that his protagonists, the generally populist Hemingway and Gellhorn, erred in bowing to pressures from editors and the Roosevelt administration, hiding their true responses to personalities and dispiriting conditions encountered in February through late May, 1941. I have shown Moreira’s indebtedness to the prevalent left-liberal interpretation of U.S.-China relations during the Sino-Japanese war, a line sympathetic to the Chinese Communists who had presented themselves to the OSS as twin New Dealers, the bearers of Lincoln-style democracy and a progressive capitalist economy. Moreira relies upon what Hans J. van de Ven calls the “overwhelming” “Stilwell-[Theodore H.] White paradigm,” for instance in his identification of “the key flaw in the Allied strategy in the Asian theater—the flaw being the Kuomintang’s unwillingness to attack the Japanese. Censorship prevented American reporters from actually saying that the Nationalists wouldn’t attack….” (p. 77). But this was precisely the propaganda line of the CCP and was identified as such by Edward Dreyer, one of Moreira’s abused sources. Moreover, the author perpetuates the view that Chinese Communism developed, in both politics and ideology, independently from the directives and example of the Soviet Union. Moreira’s scholarly apparatus of endnotes and bibliography are outdated, incorrectly transmitted, skimpy or absent where crucial, and grossly inadequate in tackling the subject at hand. The faults and biases of this book deserve exposure because it has been favorably received, notwithstanding its failure to engage previously hidden archival materials from China and the Soviet Union, revealed for example in the work of Michael M. Sheng, Niu Jun, Dieter Heinzig, Jung Chang, Jon Halliday, and many others. Moreira’s book is emblematic of a troubling pattern of partisan histories written by non-specialists for educated audiences. Stillwell to Marshall, 26 Sept. 1944, U.S. Relations With China, p.68, quoted in Kubek, p.217. “The…incident drew a line of emotional hysteria across all future relations of government and Communists.” Theodore H. White and Annalee Jacoby, Thunder Out of China (N.Y.: William Sloane, 1946): 76. Kaimei Zheng, review of Moreira, p.120, Hemingway Review, vol. 26, No.1 Fall 2006, 115-121. Morgenthau Diary (China): 457. See item 6. White includes Hemingway’s statement about “an agreement between Generalissimo’s Government and Soviet Union [to settle] definite limits to the territories the Communists are to occupy,” but omits the next sentence that warns of Communist expansionism, regardless of paper promises (458). Morgenthau Diary(China), 879. This was not a direct quote, but a synopsis taken from the notes of an anonymous interviewer. Kenneth S. Lynn, Hemingway (N.Y.: Simon and Schuster, 1987):593. See also Stephen Koch, The Breaking Point: Hemingway, Dos Passos, and the Murder of Jose Robles (N.Y.: Counterpoint, 2005): esp. 37-38, 171, 211, 250. In a review of both Koch and Moreira for The Spectator, August 19, 2006, Caroline Moorehead, the only biographer of Martha Gellhorn with access to her papers, mostly panned Koch’s depiction of Hemingway, and was supportive of Moreira. Hans J. van de Ven, War and Nationalism in China 1935-1945 (London and New York: RoutledgeCurzon, 2003): 7. Ironically, Theodore White disowned his younger self in a letter to a conference on reportage from China, held at the Nieman Center at Harvard: “We were all very young men, ignorant men, unskilled men. China was a mystery to all of us as it remains to this day a mystery to the most learned scholars. We never knew who was doing what to whom and why; we could not penetrate Chinese politics. We lived on the slope of a volcano; we could see it steaming, record an eruption now and then, knew the landscape was heaving, and all of us sensed that this volcano would blow its top.” Nonetheless, White (writing in the third person) named Chou En-Lai as one of his heroes: “Whatever the entries on the balance of violence, his net judgment was that Chou En-Lai was a man who had done more good than harm.” See In Search of History (N.Y.: Harper & Row, 1978): 528. Michael M. Sheng, Battling Western Imperialism: Mao, Stalin, and the United States (Princeton: Princeton UP, 1997). See also Jung Chang and Jon Halliday, Mao: The Unknown Story (N.Y.: Knopf, 2005). Like William J. Lederer, the admiring friend and student of Hemingway in China, Moreira wants to be read as humble ally of “the grass roots” against “corrupt officials”: he is no communist (p.134). This populist-progressive slant may follow the analysis of historians such as Michael Schaller and R. Bruce Craig arguing that misled by the China Lobby, liberal anticommunists fatally misperceived Third World nationalism as products of a global communist conspiracy masterminded by the Soviet Union; they should have understood such nationalist movements as rational sociopolitical responses to intolerable local conditions. Conservative critics of Roosevelt-style internationalism  have consistently and mistakenly opposed anti-imperialist movements in Asia, Africa, and Latin America. How could the Roosevelt administration have supported the Nationalists? Were they unaware of Chiang’s dubious political support in a collaborationist and exploitative bourgeoisie? (Moreira: pp.115, 132-33) This cosmic error, incessantly pushed by crypto-fascist militaristic crusades, would set the pattern for future disastrous U.S. interventions in the Third World. Though he knew almost nothing about the Far East prior to this trip, Hemingway’s “probing” insights and “geopolitical” analysis, made visible in For Whom The Bell Tolls, “the greatest political novel in American literature,” (19, 133) should have been, but were not, commandeered for world peace through balance of power politics [Schaller] and integrated capitalist-socialist economic systems achieved through free trade. [Craig, p.148]. This is an inexcusable distortion of Gellhorn’s piece, but Moreira must do it to support his thesis, reiterated throughout: Publicizing their insights to a broad readership, Hemingway and Gellhorn could have inflicted damage to the Nationalist regime that was hoarding “hundreds of millions” of American dollars (to destroy the true antifascists–the Communists?) while refusing to attack the Japanese invaders (91, a judgment contradicted in the description of the Chengtu airfield building project, chapter 9). Sadly, “the articles Hemingway and Gellhorn eventually published, in some small way, contributed to the popular support in America for the fascist Chiang regime, which increased the pressure on White and Morgenthau to send aid to China. Finally, far from battling fascism in her articles, Gellhorn became the stooge for a pair of right-wing dictators” (referring to Chiang and Madame Chiang, p.192). Moreira is a financial journalist, hence it is surprising that he devotes a single paragraph to the inflation that brought the Nationalists down, making the unsupported claims that H. H. Kung, Minister of Finance, “denied that there was any inflation” and that “rigid exchange controls” benefited “Chiang and his family to the detriment of U.S. taxpayers.” (p.106)  Moreira cites Jonathan D. Spence and David Rees, but the pages given for Rees quote Arthur N. Young, who, elsewhere, blamed the imposition of exchange controls on the U.S. Treasury under the leadership of Harry Dexter White, while the pages on inflation in Spence’s In Search of Modern China mention neither H. H. Kung nor embezzlement by the Chiang family. A similar unsourced judgment appears later: Complaining about Hemingway’s PM article “Aid to China,” Moreira states, “…Chiang hoarded the materiel and money he got from the Americans and used it to fight the Chinese Communists rather than using it to attack the Japanese” (p.190). Moreira never states that modernizing social and political advances were reversed or stymied by Japanese aggression. The KMT was far from completing the political reunification of China, a unification that would not be tolerated by the CCP, unless it was under their sole control, though that was not the impression they gave to American interviewers from the OSS in 1942, and published in Morgenthau Diary (China): 870-879. R. Bruce Craig, Treasonable Doubt: The Harry Dexter White Spy Case (Lawrence, Kansas: UP ofKansas, 2004): 136. Michael Schaller, The United States and China in the Twentieth Century (N.Y.: Oxford UP, 1979):193. I am synthesizing Moreira, Craig, and Schaller here. See Michael Schaller, The U.S. Crusade in China, 1938-1945 (N.Y.: Columbia UP, 1979); 141 and passim. Kung’s remark was possibly taken from Theodore H. White, In Search of History, p.163. That the economy may have been deliberately undermined by Chi Ch’ao-ting and Communist-leaning Treasury Department officials is suggested in Harvey Klehr and Ronald Radosh, The Amerasia Spy Case (Chapel Hill: UNC Press, 1996):159. Moreira cites the first edition of Spence, In Search of Modern China (1990). The second edition discusses the sources of “the economic crisis” of 1945 to “the muddle and graft involved in the return of Japanese and puppet businesses to their previous owners; widespread unemployment compounded the cutting back of defense industries and the demobilization of many soldiers; the complexities of redeeming puppet government currencies; speculation based on the regional variations of currency values; and the additional problem of the new currency introduced by Chiang in Manchuria.” (474). Although he is writing from the left and is not friendly to the Nationalists, I have found nothing to support Moreira’s citation of his book. See Niu Jun, “The Origins of the Sino-Soviet Alliance,” in Brothers in Arms , ed. Odd Arne Westad (Washington, D.C.: Woodrow Wilson Center Press, 1998): 47-89. 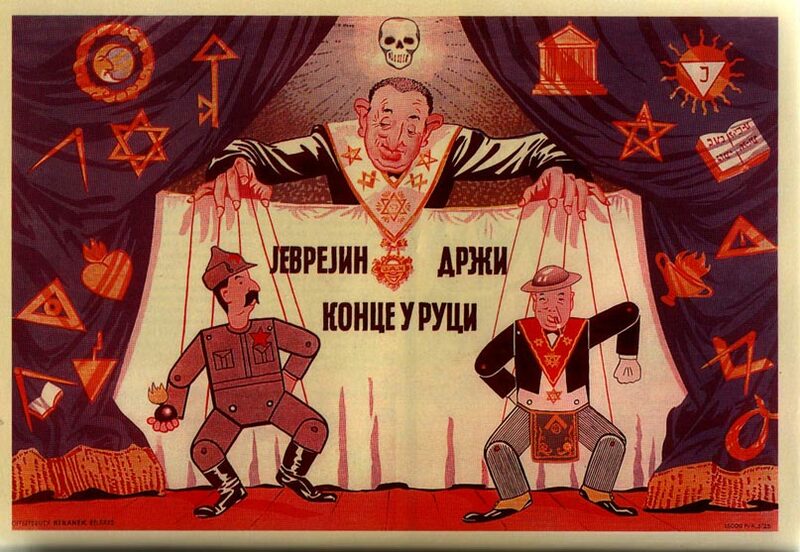 Also, Dieter Heinzig, The Soviet Union and Communist China (Armonk, N.Y.: M.E. Sharpe, 2004): Chapter 1. On shifting relations between Moscow and CCP, see 4-28; pressure from USSR to accept the united front, 3-17. Heinzig notes two instances of Soviets directly aiding the CCP (militarily), one of which failed. Michael Sheng’s Battling Western Imperialism, goes much farther in describing the influence of the Soviet Union on the CCP. See Sergei N. Goncharov, John W. Lewis, and Xue Litai, Uncertain Partners: Stalin, Mao, and the Korean War (Stanford: Stanford UP, 1993):14. Mostly Japanese equipment was transferred to the CCP, sufficient to arm 600,000 fighters. Martha Gellhorn gets the same rough treatment. In contrast to some recent feminist publications on behalf of Gellhorn’s daredevil achievements as one of the premier war correspondents of the twentieth century, Moreira depicts Gellhorn’s political naiveté and opportunism in “toadying” to the “fascist dictatorship” of Chiang Kai-shek and his besotted generals, the latter indifferent to suffering soldiers (pp. xvii, 75-76, 99). Hemingway’s reportorial objectivity is lauded as a result of stoic adjustment to filth, vermin, and the repulsive effluents of lower-class Chinese bodies: the manly, modern Hemingway appreciates cultural differences (p.98). Though her heart bleeds for the impoverished Chinese, as for underdogs in general (pp.9, 43, 62, 66), Martha is graceless under pressure, indulging a “fetish” or “cleanliness addiction” that Moreira attributes to irreligion, a tendency that Hemingway was forced to “keep…in check”: “Despite her adventures in backward places, Gellhorn was obsessed with cleanliness. 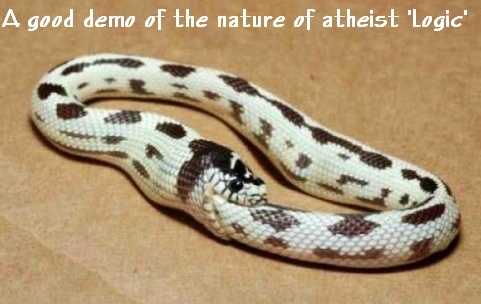 Being an atheist, she placed it well above godliness” (pp. 74, 196). Repeating an anecdote from Carlos Baker, Moreira is particularly brutal when he writes about Gellhorn’s shocked response to conditions in Hong Kong among the poor: “Gellhorn…had a fit when she caught up with Hemingway again….Hemingway responded calmly, ‘The trouble with you, M., is you think everyone is exactly like you….If it was as bad as you think, they’d kill themselves instead of having more babies and setting off firecrackers’” (p.62). Nonetheless, the author relies heavily upon neo-missionary Gellhorn’s published articles for Collier’s (mid-1941), and Travels With Myself And Another (1978) to fill out his book, almost to the point of plagiarism. 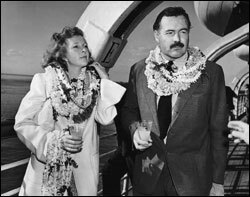 Moreira is frustrated that he could only partly recruit Hemingway and Gellhorn to his own mission: “Though Hemingway was greatly impressed by Chou the man, he accepted little of what the diplomat told him. He kept Chou’s notes [on the New Fourth Army incident] but was swayed more—and history has proven this was an error in judgment—by the Kuomintang officials he met (pp.130-131).” Moreira clearly believes that the Roosevelt administration and its meddling Department of the Treasury were, in 1941, backing the wrong horse. (Morgenthau had annexed State Department turf to fight European fascism, perhaps because he is “a Jew” p.17.) Chinese Nationalists are presented as fascists and thugs throughout, echoing the CCP line and White and Jacoby’s Thunder Out of China (1946). By contrast, Chinese Communists are portrayed solely as victims of “the Kuomintang pogrom” of 1926-27 and other atrocities (pp. 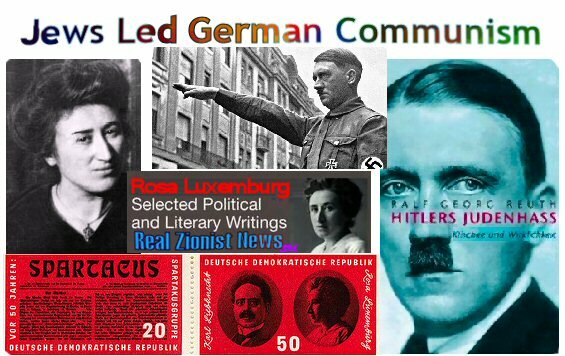 129-130) including the New Fourth Route Army incident of January 7-13, 1941, in which the Nationalists “ambushed” mostly compliant Communist allies. Moreira sets the scene leading to the Hemingway-Gellhorn interview with Chou En-Lai to further this martyrology. Notwithstanding the presence of a few “window-dressing” Communists permitted to surface so that journalists would transmit the impression of a working anti-Japanese united front, Chou was underground, hiding from the Nationalists in the hills of Chungking (chapter 10, p.135). The reader may infer that such leaders as Chou, the dazzling object of non-communist Gellhorn’s secret admiration and even lust (p.129), were amenable to friendly relations with the West—had the democracies lived up to their vaunted antifascism. Opposing the Kuomintang line that the CCP were “allies” of the Soviet Union (p.136), Moreira writes, “Hemingway and most other western observers were unaware of the tensions between the Soviets and Chinese Communists that would persist for decades” (pp.120-121). The author ignores both CCP resistance and acquiescence to orders from Moscow to maintain the united front, while preparing the reader to recognize the relative independence of the CCP from Soviet direction. Thousands of viewers have seen this blog by now, but it is incomprehensible without reading the links and other segments, but especially this one: https://clarespark.com/2012/08/20/ernest-hemingway-carlos-baker-and-the-spanish-civil-war/. 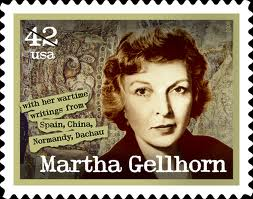 See Martha Gellhorn, The Face of War (London: Virago Press, 1986): 73-74. In the introduction to her republished article in Colliers, March 1941, Gellhorn blames herself for falling victim to the “hampering hospitality” of the Chiangs, then outlines the material preconditions for “democracy,” which she did not expect to see in her lifetime. Compare to Michael M. Sheng, Battling Western Imperialism, pp. 48-49. Mao saw no value in the united front, and was defying Moscow. Moreira cites Edward L. Dreyer and Jonathan D. Spence for this example of Nationalist duplicity and willingness to violate the united front. But Spence’s account suggests that the New Fourth Army command might have been “dilatory in carrying out their orders [to move North]—and possibly not intending to do so….” In The Search for Modern China (N.Y.: Norton, second edition 1999):440. In his China at War, 1901-1949 (N.Y.: Longman, 1995), Dreyer does imply an “ambush” (256) but he also notes, “…it needs to be repeated that much of the agitation for a United Front against Japan after 1931 was orchestrated by Chiang’s enemies for their own political purposes, and that Chiang had succeeded in his campaigns against the rival warlords and was on the verge of destroying the Chinese communists when Chang Husueh-laing betrayed him at Sian in 1936 (365).” Compare to Theodore H. White’s unattributed source “a university professor, not a Communist,” revealing the New Fourth Army incident as a horrendous atrocity committed by the KMT in Thunder Out of China, p.76. For terror and repression in the CCP faction see Jean-Louis Margolin, “China: A Long March into Night,” in The Black Book of Communism, transl. Jonathan Murphy and Mark Kramer (Cambridge: Harvard UP, 1999): esp. 470-476. Compare to Spence in his review of The Unknown Mao, noting “the Comintern-ordered United Front,” and “the dawning of the Sino-Soviet rift after 1956,” in “Portrait of a Monster,” New York Review of Books, Vol.52, #17, Nov.3, 2005. Citing Spence, Search for Modern China, (first ed. ), Moreira does mention on p.8 the U.S. and the Soviet “insistence” that the factions “cooperate in driving out the Japanese” and “sporadic fighting” between them but does not chronicle shifts in the (here unnamed) united front, nor refer the reader to the abundant recent scholarship.Rather than describing “tensions,” Michael M. Sheng describes “Maoist dualism,” elaborating this “double-sided identity” in his introduction, pp11-12, and throughout his book.